If you’re a medical professional, you’re sure to know someone who has been slapped with a lawsuit. You’ve heard the horror stories and probably know of someone whose reputation never recovered after the lawsuit. Today, you’re more likely to face medical malpractice problems than ever before. 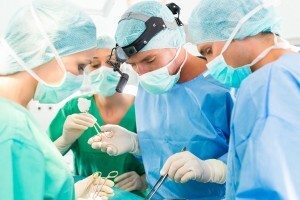 Here are three reasons to contact a medical malpractice lawyer at the first sign of trouble. People are more likely to sue: Not long ago, the respect afforded doctors made most people trust that the doctor had always made the right decisions when it came to medical care. While this wasn’t necessarily a good thing, it meant that doctors were less likely to need a medical malpractice lawyer. Today, however, everyone knows that suing is an option. Even if you have done nothing wrong, some people see doctors and hospitals as being easy targets with deep pockets. The changing field: A career in healthcare is one of the fastest changing professions around. You might treat patients with tried-and-true methods, but they might wonder why you didn’t prescribe the “latest and greatest” drug they saw an advertisement for on TV. While the case might be baseless, you are still being sued. You reputation is more transparent than ever: Sites like Angie’s List allows reviews of doctors. Local newspapers have archives of their past editions. The most popular stories about you are just a Google search away. That’s why it’s so important that the top results that come back are about your acquittal, not your conviction. Monetary losses associated with a medical malpractice suit could be the least of your problems when your reputation is on the line. At Tate Bywater, we have attorneys with healthcare backgrounds who have been handling cases just like your for years. 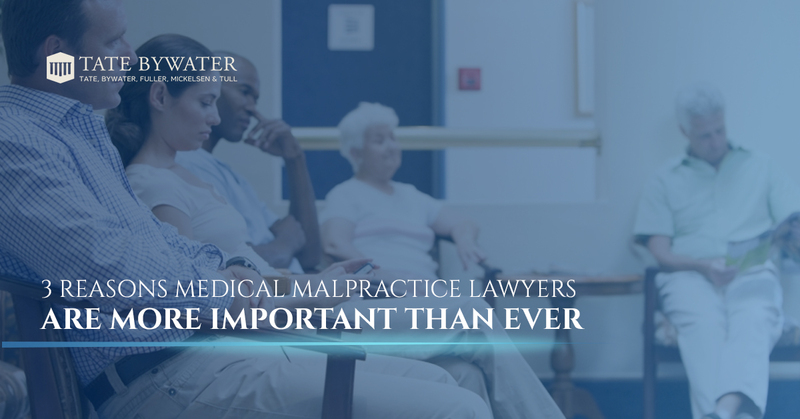 When you find yourself heading to court, contact the medical malpractice lawyers at Tate Bywater as soon as possible.